Insight Consultant’s online recruitment solution, developed for Javelin HR Solutions, combines the process of prospective employee assessment, applicant management and recruitment through a single system. The application tracks the applicant starting from the point where he / she applies for a job requirement till he / she is appointed and even their early employment phase. Javelin HR Solutions primarily offers customized human resource strategies to help organizations improve talent selection, leadership assessment and HR analytics. Started out as Applied Psychometrics in the early 1980s, Javelin is headed by Fred Fishback. He is one of America’s top HR technologists, currently servicing one of the Fortune 50 companies. He has been featured in the WSJ, HR Executive, Chicago Tribune, Orlando Sentinel, Data Communications and other major periodicals. Fred Fishback envisioned offering a HR assessment solution via web based applications for the purpose of recruitment, induction and early employment phases. Fred was offering his consulting services offline to clients but soon realised the power of the web in maintaining and tracking HR processes. Fred was looking for a technology partner who could translate his expertise to the web-based world. 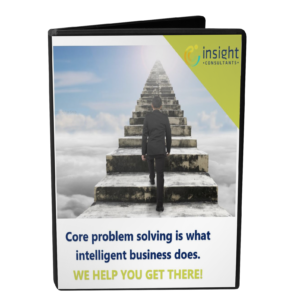 Fred approached Insight Consultants to turn his concept into a concrete solution. We rolled out cutting-edge business solutions using technologies like ASP, ASP.NET 2.0, ASP.NET AJAX to produce interactive, user friendly assessment applications at the front-end and SQL Server 2000 and 2005 to implement robust data storage and retrieval at the back-end. These applications were also integrated into pen based devices (for eg. tablet PC for interviewing). As the business progressed, a number of different assessment applications were developed which met the various business needs of the client. Soon, the need for integrating these applications, not to mention, with the the legacy ones as well, increased. Consolidated reporting to capture the big-picture view to enable informed decision making became the need of the hour. Microsoft’s SQL Server Integration Services (SSIS) came to the fore for integrating disparate sources of reporting information. SQL Server Reporting Services (SSRS) combined with DundasTM were made use of for building complex reports and dashboards, SQL Server Analysis Services (SSAS) was put in place for generating cubes for analyzing data on an real-time basis. Key Performance Indices (KPIs) and Data Mining features were also added to predict future business trends based on the available data. We were long standing partner of Javelin for several years. We constantly try to leverage the knowledge we have gathered over the years to serve other Enterprise clients, in different sectors. – Fred Fishback, Founder and President, Javelin HR Solutions.